Unite the advantages of the 96-well plate with the advantages of the NCC-technology (Non Cross Contamination). Each well of the 96-well plate is closed by its own NCC-plug. The wells can be individually opened and closed manually by a pluglifter. NCC-single well closing allows non-cross-contamination working. Extremely thin-walled tubes (>0,3 mm wall thickness) result in excellent thermo transfer for better and more reliable PCRs. 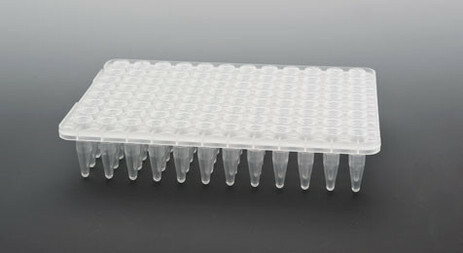 Due to the high dimensional stability of the plate they are ideal for automated systems (RoboAmp 4200, MWG Biotech AG).